The Store that offers a little bit more! 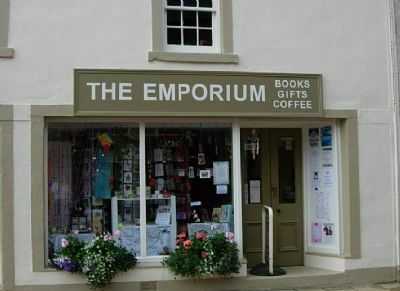 The Emporium is a compact but very well stocked shop with lots of character – something you don't find in many stores these days! From the signatures over the Coffee Shop walls and ceiling, dating back to 1996, to the fact that we'll sew on a button, lend you a dictionary, offer First Aid, or make a phone call for you to find accommodation, we pride ourselves on going that little bit further in order to make your visit to Cromarty, and The Emporium, a pleasant and different experience. But be warned – we are crossword fans, so you may be quizzed for answers if we're stuck on a clue! 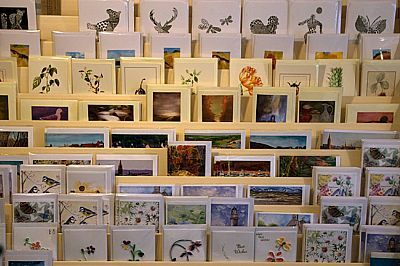 We now feature local artists' greeting cards and local crafts and are always looking for more high quality goods to sell in the shop. Contact me for an appointment. We are the exclusive seller of Harris Tweed items including bags, coasters, bookmarks, small purses and tea cosies. We also have tartan bags from Rhoda Fraser, the Dingwall Kilt Lady. You can order a varity of bag sizes in your favorite tartan, including one that fits an iPad. March 1 to October 31: 10am to 5pm. November 1 to February 28: 10am to 4.30pm. The Emporium team is: Annie (speciality - knowing all the local news! ), Clare (speciality - making visitors feel at home) and Laura - (speciality - artistic and friendly). Please do come and see us soon!